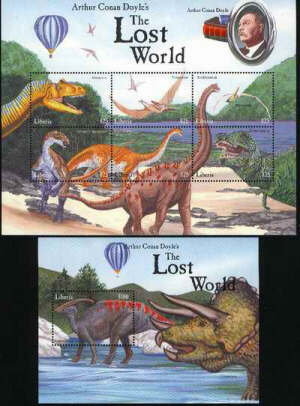 Every now and then, a group or country will issue some manner of philatelic collectable related to The Lost World (more often than not showing up on the bottom of the "lost world" pile on eBay). 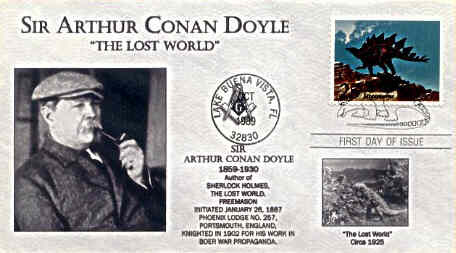 Since I'm not much of a stamp collector, there won't be much info here, but I there are pictures! Issued by the Masonic Lodge of Lake Buena Vista, Florida, United States.